Fran is the Surgery Head Nurse at London Vet Specialists. 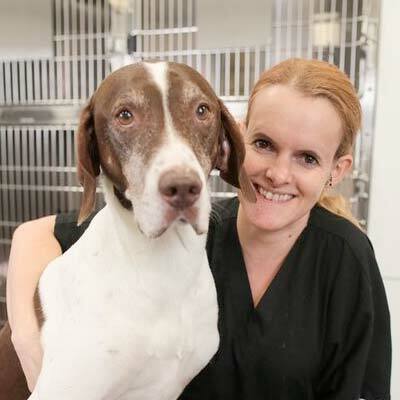 She qualified in South Africa in 2000 from Onderstepoort University and is a Registered Veterinary Nurse. After graduating, she worked in a busy practice outside Cape Town for 8 years where her interest in surgery developed. She also worked with some interesting wild patients! Fran moved to London in August 2008 for 2 years… she’s still here! She currently lives in North London with her husband and 2 cats.